The rapid and credible evaluations of the microbial stability of a drinking water distribution system (DWDS) are of great significance for ensuring the safety of drinking water and predicting microbial pollution. Conventional biostability assessment methods mainly focus on bacterial regrowth or evaluation of the level of nutrients that support bacterial regrowth. However, such methods are time-consuming and have many limitations. An adenosine triphosphate (ATP) assay can rapidly measure all active microorganisms and is known to be a useful method to assess the microbial activity of drinking water. The measurement of ATP has been used for more than a decade in the field of drinking water research. This article reviews the application of an ATP luminescence-based method to assess the biostability of drinking water and discusses the feasibility of ATP measurement as a parameter for quickly evaluating this criterion. ATP measurement will help researchers and water managers better monitor the biological stability of drinking water from the source to the consumer’s tap. 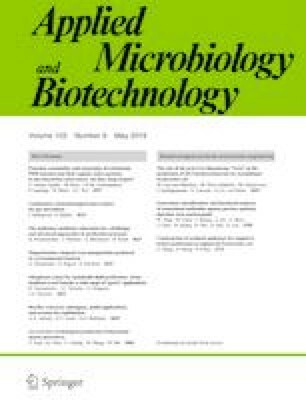 This review covers the: (1) principle and application of the ATP measurement in drinking water quality assessment; (2) comparison of the merits and demerits of several methods for evaluating the biostability of drinking water; (3) discussions on using ATP measurement in evaluating biostability; and (4) improvements in the use of ATP measurement in evaluating biostability. At the end of this review, recommendations were given for better application of the ATP measurement as a parameter for monitoring the microbial quality of drinking water. This study was funded by National Science and Technology Major Protects for Water Pollution Control and Treatment (No. 2017ZX07201004), National Natural Science Foundation of China (No. 51778561), Natural Science Foundation of Zhejiang Province (No. LY17E080014), Scientific Research Fund of Zhejiang Provincial Education Department (No. Y201840501), and the Funds for International Cooperation and Exchange of the National Natural Science Foundation of China (No. 51761145022).